A trade war waged by the US is likely to deliver a further blow to China’s economy in 2019, but the Association of Southeast Asian Nations (ASEAN) may benefit from the dispute between the world’s two biggest economies, according to Japan’s Kyodo News. If the US-China trade tension is prolonged, the Chinese economy may face significant downward pressure as weakening consumer and business sentiment could weigh on the country’s household spending and investment. Meanwhile, some ASEAN member nations are expected to become an alternative destination for foreign direct investment instead of China as their economies grow steadily on the back of robust domestic demand. 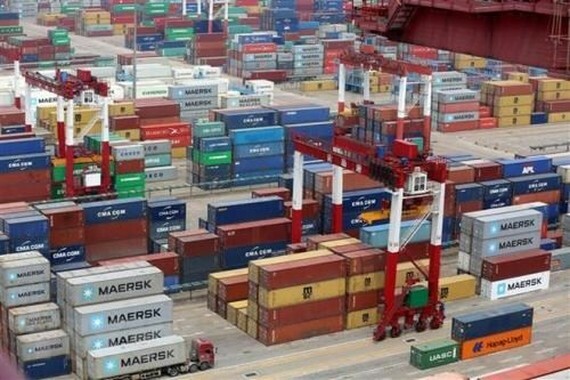 China’s economy grew by 6.5 percent in the third quarter of 2018, the lowest since the first quarter of 2009 when the world economy suffered from the aftermath of the global financial crisis the previous year. Though Chinese President Xi Jinping has pledged to enforce large-scale fiscal stimulus measures, including tax cuts, the country’s leaders may have to accept an economic slowdown of about 6 percent the next year, analysts said. Given economic data like production, corporate profits, the job opening-to-application ratio, retail sales and exports, China's economy fell into a stagnant phase in August 2018, said Kaori Yamato, senior economist at the Mizuho Research Institute in Tokyo. The economy would remain sluggish for an extended period if a downturn in exports, triggered by a series of tariff paybacks with the US, negatively affects investment and consumption in the country, Yamato noted. So far, the US, one of the world’s major markets, has imposed tariffs of up to 25 percent on 250 billion USD worth of Chinese imports – or around half of the goods the US imports from China annually. In response, China has introduced tariffs on more than 80 percent of all US imports. At their meeting in Buenos Aires on December 1, Chinese President Xi Jinping and US President Donald Trump agreed to hold off on levying tariffs on each other’s imports and attempt to conclude talks about technology and intellectual property rights issues within 90 days. However, the US warned that if at the end of this period of time, the parties fail to reach an agreement, the 10-percent tariffs will be raised to 25 percent, meaning trade strains rekindled. The gap between what the US wants from China and what China will be willing to give the US is very big and the trade tension is likely to continue another year, said Malcolm Cook, a senior fellow at the ISEAS-Yusof Ishak Institute in Singapore, adding that the trade war will hurt China more than the US. Jeff Kingston, Director of Asian Studies at Temple University Japan, expressed concerns that the slowdown in the world’s second biggest economy would drag down the economies of ASEAN nations that have supplied components to manufacturers in China. China has been the regional engine of growth, so if it weakens, the consequences would be severe, Kingston emphasized. But other analysts are rather optimistic about the outlook for the ASEAN economies, as several major economies, particularly Japan, have been accelerating investment in Southeast Asia amid the escalating US-China trade war. A number of foreign companies have been recently moving their production bases from China to the ASEAN region because the goods they make in China face heavy US tariffs and are not in much demand in the US.